Fig.1. 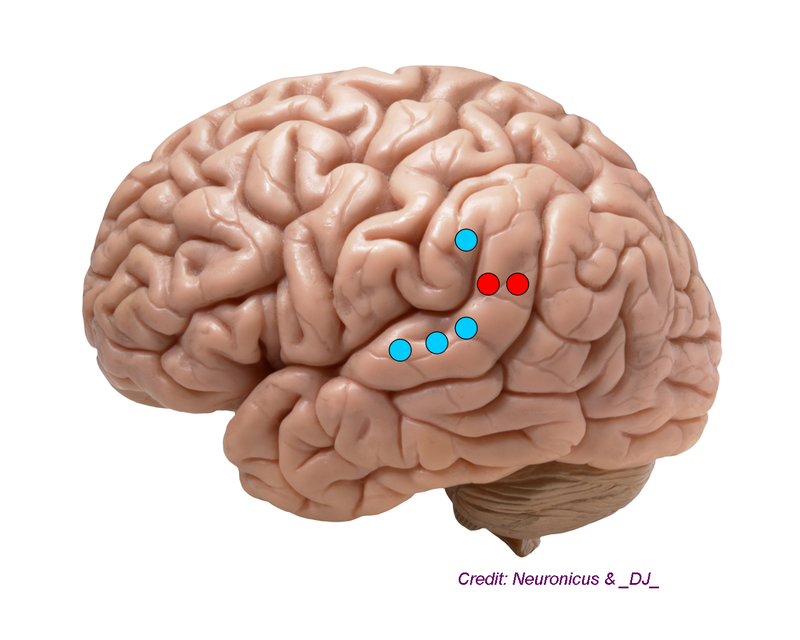 Penfield’s (light blue) and Blanke’s (red) stimulation sites for eliciting out-of-body experiences. Adapted from Tong (2003). Olaf Blanke is today’s famous neuroscientist for investigating bizarre body perceptions, like out-of-body experiences or the felt presence of a doppelganger. Without doubt, he deserves the fame for conducting the most comprehensive, rigorous, and methodical studies of the phenomena to date. But before him… there was Penfield. Wilder Penfield’s patient G.A. had epilepsy, without hallucinations. Penfield was habitually inserting electrodes and stimulating his patients’ brains in order to find the epileptic focus and destroy it. The G.A. 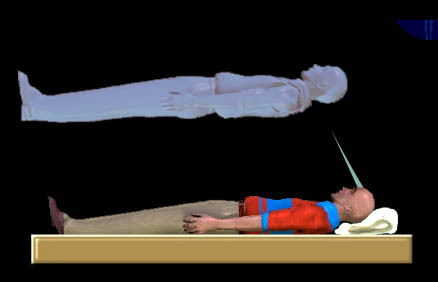 patient reported out-of-body experiences when stimulated in the posterior superior temporal gyrus in the temporal lobe, a region close enough to Blanke’s today stimulations experiments (although, to be fair, either Penfield was a little more posterior than he thought, into the angular gyrus of the temporo-parietal junction, or he did not report the auditory hallucinations that he must have obtained with the stimulation of the posterior superior temporal gyrus. One of these days I will feature a Blanke paper. Until then, see Fig. 1). Posted on October 6, 2015 August 10, 2016 by NeuronicusPosted in 1941, Firsts, HumansTagged 1941, angular gyrus, autoscopy, Firsts, out-of-body experience, superior temporal gyrus, Temporo-parietal junction (TPJ). Previous Previous post: Stress can get you fat. And then kill you.